Did you know that the North Pole is on vacation? Today we received a lovely post card from our Elf on the Shelf friends. It seems that Santa sent all of the elves on a Florida beach vacation so that they can rest up before the rush and excitement of the holidays! 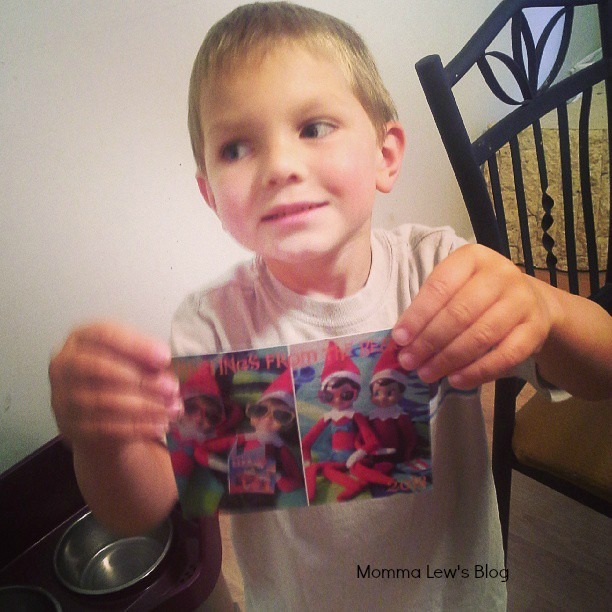 Adam was just thrilled to see that his Elf friends remembered him & to get a glimpse at what they are up to! We have 2 Elves – a boy & a girl Elf alternate Christmas seasons. Last year, we had a girl. Did you know that the elves have their own outfitters? Yup! 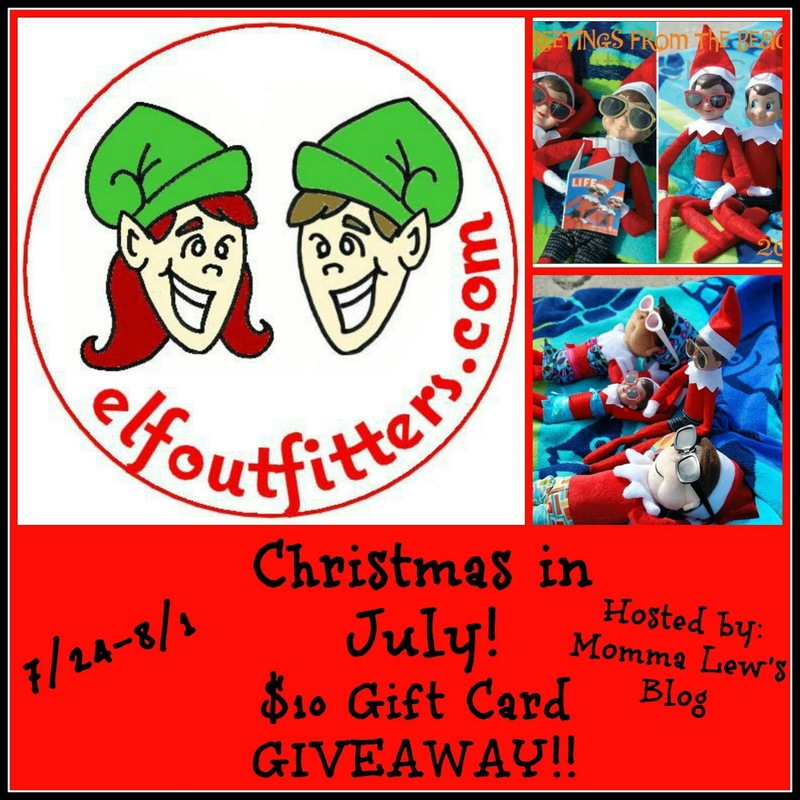 Elf Outfitters is the sole creator in Elf apparel and accessories! Or maybe they need new winter weather gear or a warm place to lay their head while they wait to go fly back to the North Pole. Check out these great Elf on the Shelf Printables! I have to say that the TuTu Princess outfit is simply adorable!! Who knew you could have a Princess El!?!?! I am loving the superhero one! I love the SuperHero! How awesome! I like the luau kit.